Peru has long been a prime destination for backpackers and adventure travellers. Its geographic diversity, vibrant culture, low cost, amazing (and arguably underrated) cuisine and, of course, the ancient ruins of Machu Picchu make it an almost obligatory trip. The country is popular with first-time visitors to South America—much like Thailand is in South-East Asia—and you are guaranteed to find many people travelling similar routes. 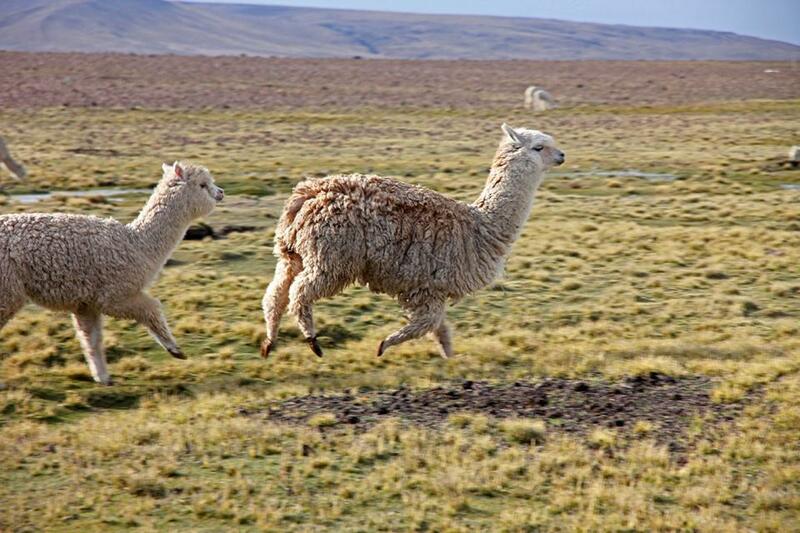 Such popularity does have its flip-side: you may find just a few too many souvenir shops lining the streets (filled with the same alpaca-patterned wares, panflutes, etc.) and there’s also a bit of a rip-off culture targeting tourists, though this is clearly not anything that should stop you from visiting. Peru offers a breadth of epic experiences beyond just iconic Machu Picchu, including trekking the Cordillera Blanca, spotting condors in Colca Canyon, exploring the Amazon rainforest, and seeing penguins, flamengos, and sea lions on the Ballestas Islands. In this Peru travel guide, I’ll tell you about some of the top things to see and do. 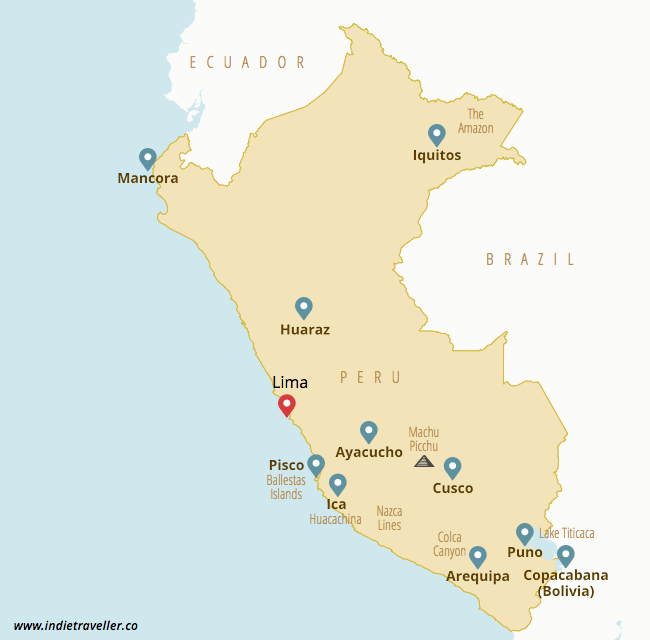 Peru is a big country but most of the key sights in are in the south, forming a relatively compact circuit. Even a 2 week trip can include the Nasca lines, trekking and seeing condors around Arequipa, Machu Picchu and lake Titicaca (the highest lake in the world). That’s a lot of highlights for one trip! I myself have visited Peru twice; once on a 2-week trip, and later again as part of a much larger journey through South America. Consider 2 weeks the minimum for Peru. If you have just two weeks, you should probably focus solely on the south. You will be able to cover the areas around Arequipa, Ica, Cusco and lake Titicana reasonably well. You’ll have to keep the pace up though and probably take some night buses to make it all fit. Consider taking a domestic flight to save you time: for instance, you might want to fly between Cusco and Lima as this saves you an uncomfortable 30 hour (!) bus ride. Most of the tourist destinations are in the south. Huaraz, Iquitos and Mancora are key places to visit as well, though they are more isolated far up north, and best visited on a longer trip. Don’t overstretch yourself. I made this mistake during my first time in Peru: I tried to “see it all” and had a pretty stressful experience. It can be better to pare down your stops so you can stay at least 2 or 3 nights in interesting places like Cusco and Arequipa. If you’re trekking, it’s nice to add at least one day of rest afterwards. 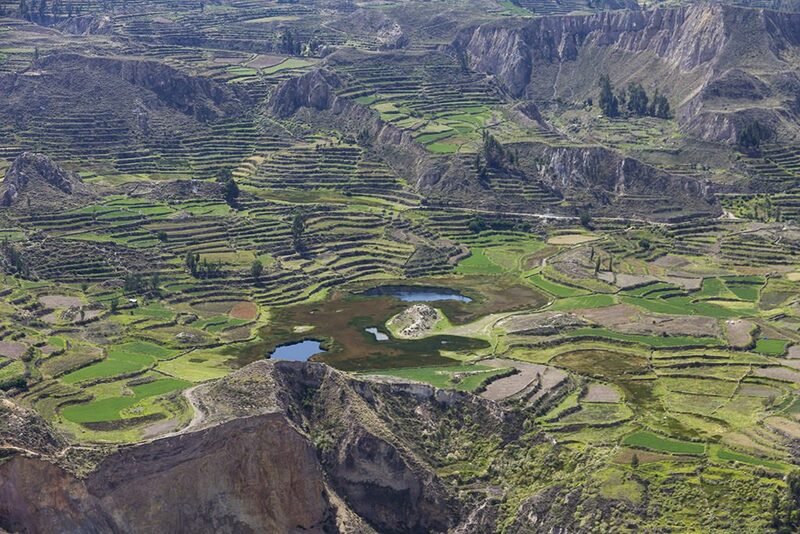 Cusco with Machu Pichu, and Arequipa with nearby Colca Canyon, usually form the backbone of many people’s itineraries. If you have more than 2 weeks your options really start to open up. For example, with 3 weeks you can either focus on the south and take it slow (this would probably be my recommendation) or you can try to add some other parts of Peru as well. With four weeks or more to spare, you can comfortably cover much or all of Peru. While most of the tourist highlights are in the south of Peru, the rest of the country has much to offer as well. The north has lush green lush green Amazon forests and tropical beaches that are a world apart from the south’s deserts / Andes / rocks. You also have a better chance of having more authentic experiences in these less-touristy regions. Unless you truly have the time, resist overreaching into Bolivia. I met many backpackers who exhausted themselves just trying to ‘do’ Peru and Bolivia in the same short trip. Looking at a map it may seem tempting to make a beeline for La Paz and see the salt flats of Uyuni while you are at it, but Peru has plenty of big highlights for one trip already. I’d recommend adding Bolivia only if you have at least 3 weeks. 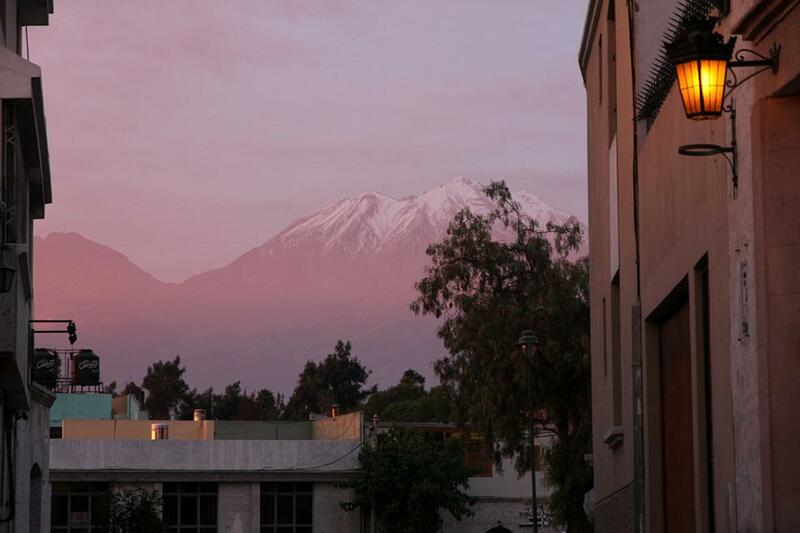 Finally, there’s no need to linger in Lima. You’ll probably start your trip here, but the capital is noisy and big, its microclimate ensures its coast is constantly covered in clouds, and it can be a little dangerous in some neighborhoods. If you’re travelling long-term then staying in Lima can be great as you can get to know locals and uncover its secrets, but otherwise Arequipa and Cusco can be more immediately rewarding. I skipped Lima on my first Peru trip in favor of other places, and I think that was the right call. Huacuacina is an odd little oasis in the deserts near Ica that is a very popular base for the backpacker crowd . Enjoy the laidback atmosphere, or get your adrenaline flowing by sandboarding down the dunes or taking a ride in one of the dune buggies. The buggy ride is a ton of fun and feels almost like a rollercoaster. Get one at sundown and you will feel like you are in Star Wars’ Tatooine. Did you know that Peru has the second largest amount of Amazon Rainforest after Brazil? The Peruvian Amazon covers 60% of the country and is home to incredible biodiversity. Iquitos and Puerto Maldonado are popular places for reaching the Amazon; both are best flown into as road connections do not exist. 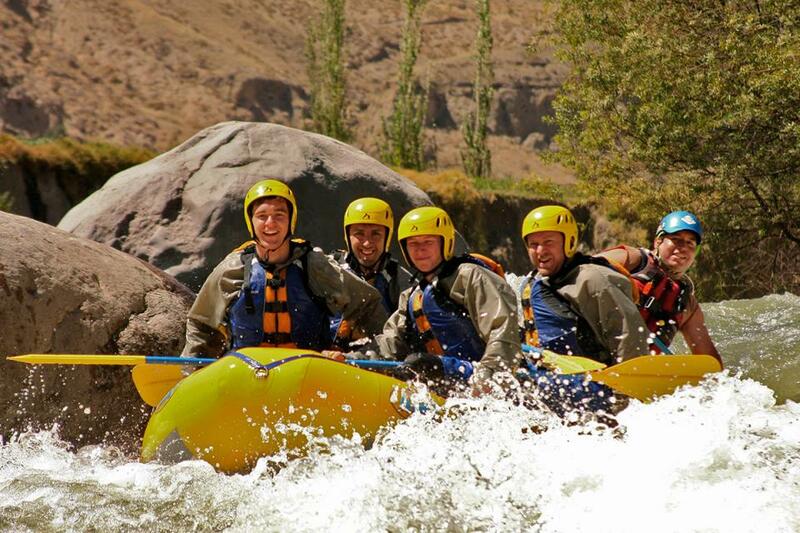 The Chili River near Arequipa is perfect for rafting and quite a few rafting agencies operate from the city. The rapids here are up to class 4, which—if you don’t know the classification system—basically means “crazy fast and just one level below the extreme and potentially dangerous professional level 5”. It’s really great fun. This is one of the better free city tours I have done in South America, and you can find it by inquiring at the tourist information office on the main square in Arequipa. You will get some genuinely interesting background on both Peru and Arequipa’s histories, and will give you real reason to appreciate some of the unique architecture around. Condors are HUGE. They have a wingspan of up to 3 meters and can get 80 years old. 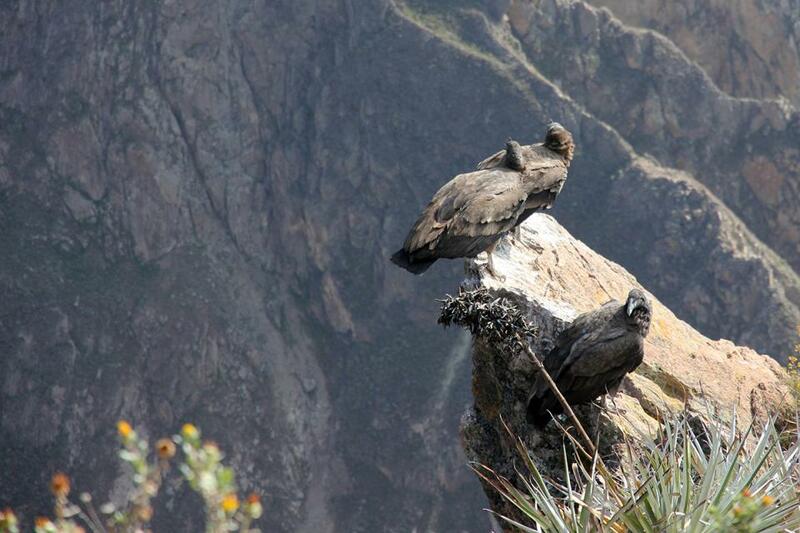 Seeing Andean condors in real life will definitely leave an impression. 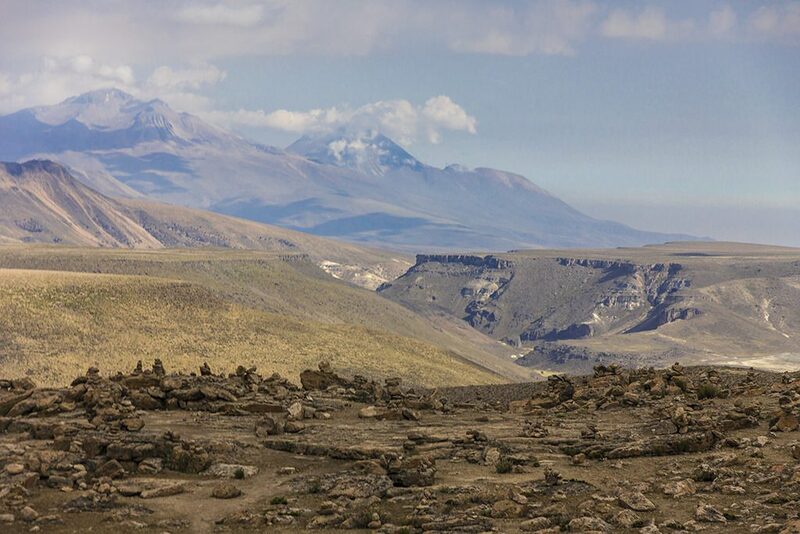 There is a spot at the top of Colca Canyon near Arequipa where they can be easily observed. You can go there just to see the condors, but even better is to see them as part of a 2 or 3 day organized trek into the canyon. If you do any other trek besides the Inca Trail make sure it’s the Colca Calyon trek, as it’s really beautiful (if a little strenuous climb on the way up). 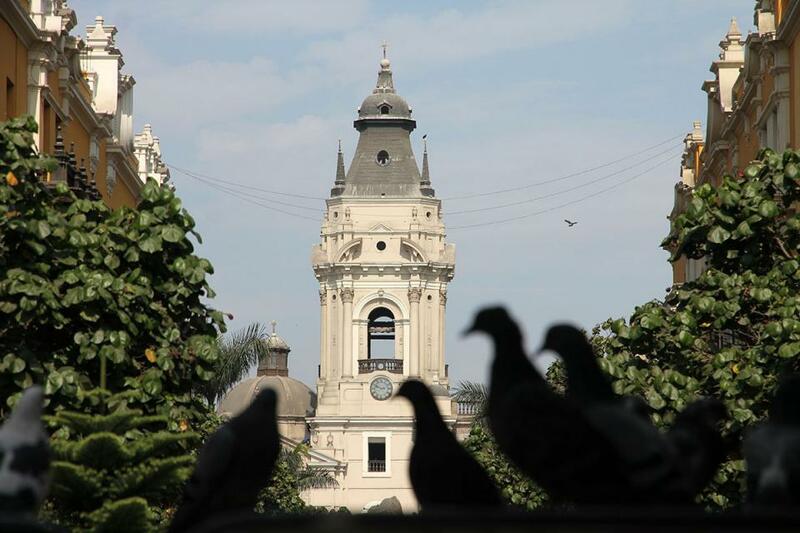 Many hotels and hostels are in Lima’s historical center, which is close to museums and churches but also pretty loud and stressful. Miraflores on the coast has the reputation of being the most affluent and safe area, but I personally thought it was a tad too sterile; it’s very Starbucksey and has lots of high-rise buildings. 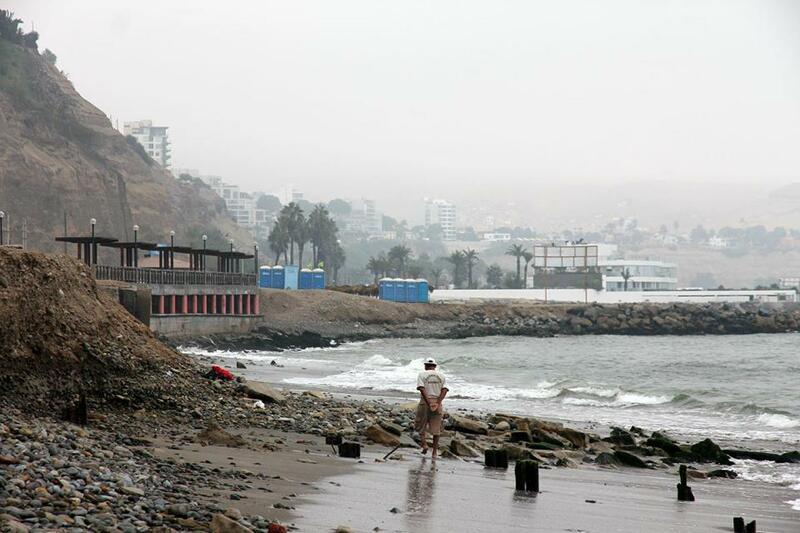 South of Miraflores is Barranco, and this is the Lima neighbourhood I most recommend. It has cute coloured low-rise buildings, a chilled out bohemian atmosphere, and some great restaurants with outdoor seating. It’s nice to stay in Barranco and then just take taxis to the centre for sightseeing. Lake Titicaca is, by some measures, the highest lake in the world. It is home to some reed floating villages, though these have become a bit of a tourist trap. Don’t think you’ll be like some kind of explorer establishing First Contact with its inhabitants; it’s going to hugely commercialized with people putting on ‘shows’ for the tourists. A popular thing for backpackers to do in this area is to spend a night in a homestay, which I didn’t do but heard some good things about. 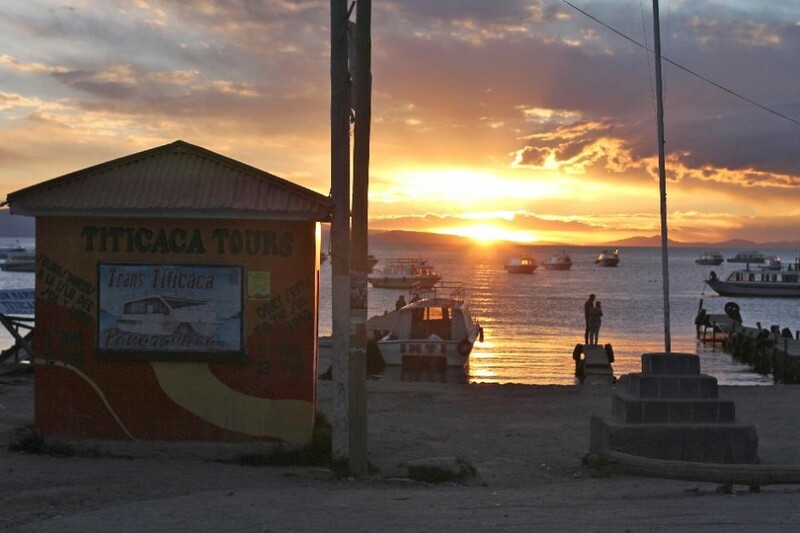 Just 15 minutes across the border in Bolivia is the town of Copacabana which has several nearby islands that are well worth visiting, including Isla de la Luna. Take a tour at a vineyard where Pisco is produced, the grape brandy that’s the primary ingredient for Peru’s ‘Pisco Sour’ cocktail. These tours by the their very nature are a little cheesy, but interesting nonetheless. And, of course, they include some free pisco tasting. The best place to do this is, not surprisingly, around the city of Pisco. 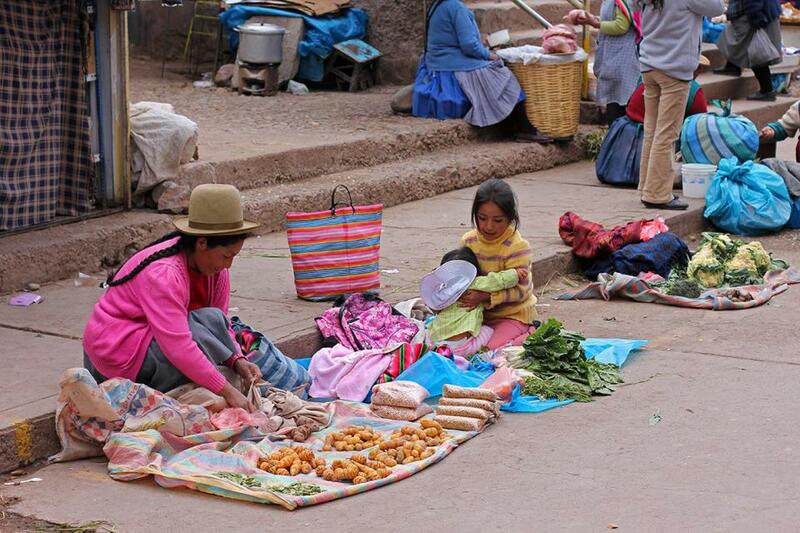 Cusco was once the capital of the Inca empire, and so it is a city of much historical and cultural significance. At 3,400m above sea level it is a fairly cold and barren place: bring a sweater and don’t expect to see much green. Cusco also happens to be the prime party hotspot for backpackers, with many infamous hostel chains (like Loki) offering a chance to let loose. The nearby Sacred Valley is a great area for horseback riding, mountain biking and hiking. I don’t know what it is about these animals that makes them so hilarious, but they are. Endless entertainment. In Peru people just eat fried chicken with potatoes, right? Wrong. Peru is home to some incredible food. 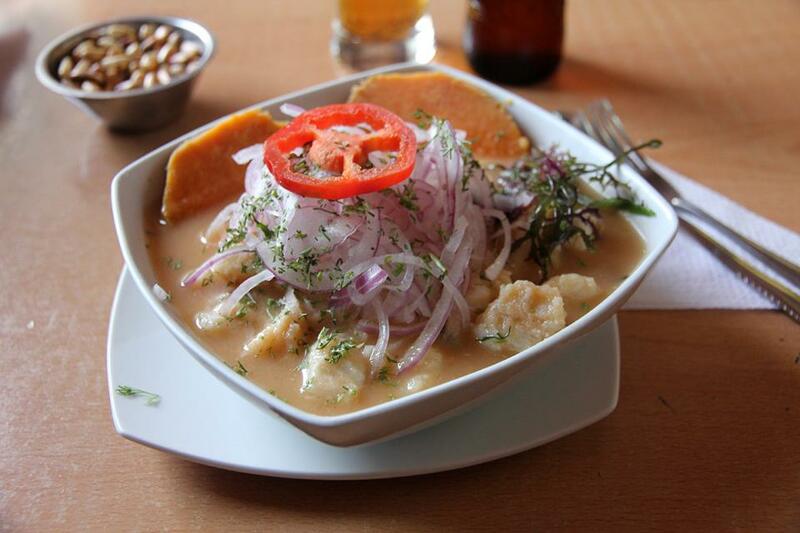 Food and travel guru Anthony Bourdain has listed Peruvian food as one of the most underrrated around the world, and it’s easy to see why. For a fun experience, try the guinea pig (yes, people do actually eat this in Peru). It really just tastes like chicken and there is little meat on the bone, but it’s something interesting to try for sure. Finally, Peru is home to some of the best chocolate in the world. Go on a cacao plantation tour, or take a chocolate making workshop at Chaqchao Organic Chocolates in Arequipa. Huaraz in the north is a great base for hiking. I have not been personally, though the mountains are meant to be spectacular here. I met someone who lived around Huaraz for several months on a volunteering trip and who could not stop raving about the treks there. Witness the wildlife of the Ballestas Islands, often described as the Galapagos Islands of Peru. Accessible from Paracas (near Pisco) the islands are home to many rare birds, including pelicans, penguins, cormorants, Peruvian boobies, and Inca terns. Peru is not an obvious destination for beaches (since much of the coastline is not so suitable) though you can find some good ones in the north, for example near Trujillo, while Mancora is a popular surfing destination. Other countries in South America arguably have better beaches however (think Brazil or Colombia). When it comes to hostels or other low-cost accommodation with good value or good atmosphere, you’ll find Peru an embarrassment of riches. Finding good backpacker or budget style accommodation is easy, and there are many options available particularly anywhere in the more frequented south. Below are some suggested hostels and low-budget places to stay. Hostel based in a renovated colonial era building. Bar with pool and fussball tables make meeting people easy. Located in the busy historic center. Small and homely family-run hostel in the fun Barranco area on the coast (also not far from Miraflores). Location not as central, but a much more relaxed place to stay in Lima. Great family-run hostel; basically feels like you’re living in a regular house with other travelers. Very central, near the main plaza. Cusco is known for having its share of party hostels (Wild Rover, etc. ), but this is a more relaxed option with a friendly atmosphere. 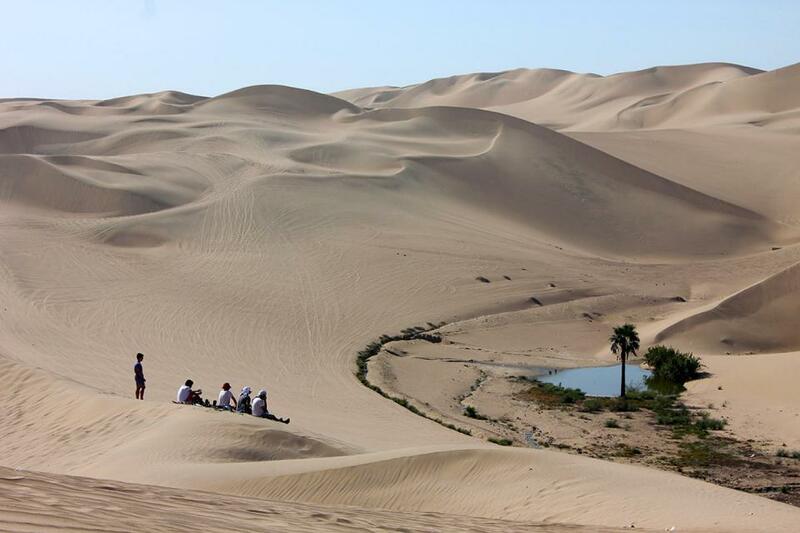 Both private rooms and dorms in this high-rated hostel at desert oasis Huacachina. Hostels in Puno seemed more basic than elsewhere (as it’s more of a transit town), but this is one of the highly rated ones. Machu Picchu is something you’ll want to get right. Given the right circumstances, it can be magical. Given the wrong circumstances, and you will find yourself sharing the site with a bazillion other people while the entire place loses much of its mystique. Get there early. And by early I mean really early. Either go on a trek that takes you to Machu Picchu before sunrise, or if you aren’t trekking take the first bus up from Aguas Calientes (the town nearest to Machu Picchu) and get there ready for sunrise. Around 5 A.M. you can still have the place seemingly to yourself. The sun rising over the mountains with the base of Machu Picchu still draped in the fog of dawn may just leave you breathless. Book your tickets well in advance. Trekking to Machu Picchu is extremely popular and requires permits. It’s wise to book these at least 2 months in advance. If you are taking the tourist train from Cusco up to Aguas Calientes, know that train tickets often sell out weeks in advance too—if you missed your chance, a backup option is to take the bus to Ollantaytambo and take the train from there. Tickets to the archeological site itself are capped at a certain number each day, though they don’t typically require purchasing quite as far ahead. You can usually still get tickets a few days in advance. There’s more than just one trek. The Inca Trail is beautiful and passes by several smaller Inca ruins, but it’s also incredibly busy. If you want a quieter hike there are quite a few alternatives, including the Lares and Salkantay routes. The only downside is that these down end at Machu Picchu itself, but in the town of Aguas Calientes. 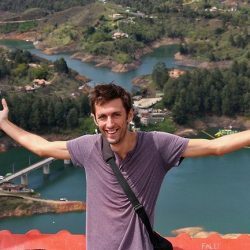 Budget around $30 a day as your average backpacker budget (e.g. when staying in dorm rooms and eating locally). At least $40/day if you want a bit more comfort. Your biggest expense may be hiking up to Machu Picchu, as these multi-day treks will set you back some hundreds of dollars. Lima and Cuzco are the most expensive destinations in Peru. Lunch is the biggest meal of the day for locals. If you want to keep your costs down, you can find some very inexpensive set meals at lunch. It helps a lot to know at least some basic phrases in Spanish, as apart from tour guides few people know English in Peru. 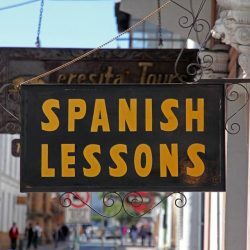 Read some tips on how to learn Spanish. Bus travel is rather comfortable. Cruz del Sur is a popular bus company providing luxurious seats, movies/entertainment, and on-board meals, but there are dozens of others. Be on your guard for scams or theft. I didn’t have any problems with this personally, but Peru has a bad reputation for this (not unlike Vietnam‘s reputation in South-East Asia). One particular point to be aware of: in my two years of travelling I never heard of people having their bags stolen wholesale, except for in Peru where I heard multiple first-hand accounts. That could have been coincidence, but I don’t think it is, so be sure to look after your belongings more closely in Peru. Further reading: 5 ways to keep your belongings safe. Peruvian ATMs dispense both local currency (nuevos soles) and US dollars and work with all major bank cards. Bring antibacterial gel. 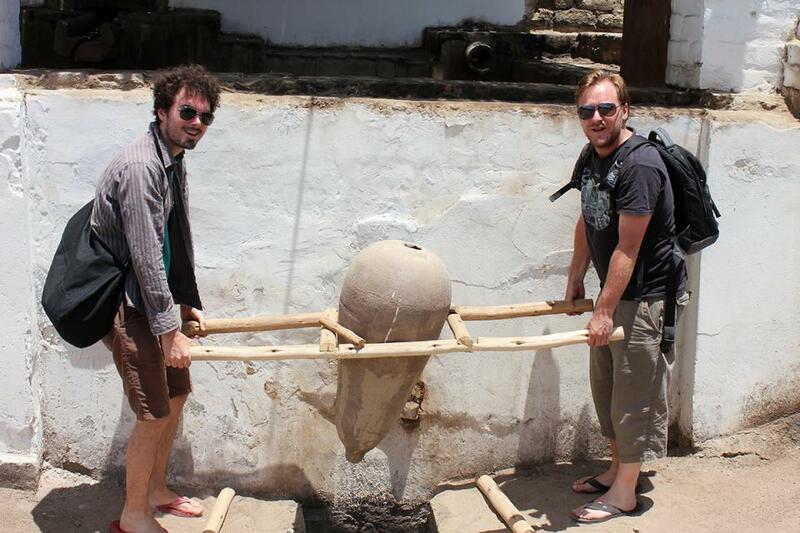 Peru is one of those countries where toilets are often not the cleanest and often don’t have soap. Toilets at bus stations can be particularly horrific. Very well written, thanks for the tips! Indeed, Peru has come a long way since the days of the military environment in the late 1970s, and is today one of the safer and more enjoyable countries to visit in South America. However, there are still tourist-targeting scammers and petty crime to be wary of. 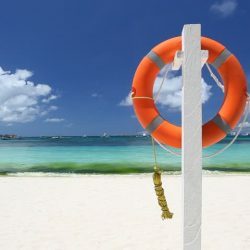 Do be wary of the poor student scam, chile-peru border crossing scam, pirate taxis / black market taxis, car break-ins, sob story scam, currency switcheroo / sleight of hand and many more! Awesome article, thanks for the tips! Indeed, Peru has a great mix of different sceneries and attractions such as the majestic Machu Picchu, the expansive Atacama Desert and the snake like Amazon River that cleaves through the heart of primary rainforests. However, there are tourist-targeting scammers and petty crime to be wary of. Do be wary of the ‘bird poo’ / mustard scam, the poor student scam, airport fake taxis, carjacking, ATM fraud, sob story scam and many more! This was so helpful! Great information and very explained. Thank you so much! Awesome Marek! Happy 2018 and incredible post that helps me a lot planning my journey to Peru this summer, thank you! One big question, the Rainbow Mountain is one of the new attractions out there, how come that you haven’t been there? I am still not sure if this will be a great tour as many say it’s pretty tough. But I found an alternative on Tripadvisor and maybe this could be helpful but I’d like to hear your opinion too. Look here how they compare both treks. Can you somehow relate to that? The 1st entrance time from 05:30 AM until 12:00 noon. Thank a lot for all what you do. I have already your book and it is amazing. Im planning trip for 2,5 months (October-mid December). Start in Nicaragua for 3 weeks, fly to Ecuador, stay in Ecuador 10 days, Peru for 3 weeks, Bolivia 3 weeks. Do you think so that is good time for weather? Hey Pavel! Thanks 🙂 I think you’ll be going through the shoulder seasons in most those countries which is great. Once you get to Bolivia you might find yourself at the start of the rainy season there. But given that there’s many different elevations and climates within Bolivia you should be able to work around it. Seems like a good itinerary! 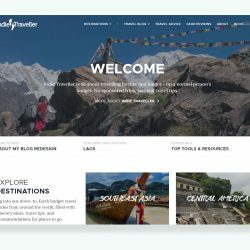 Hi, I’m planning on backpacking solo in Peru this summer, do you recommend booking hostels in advance (Cusco, Lima etc) or just turn up and pay on the day? Hey Zan. Well, you can just turn up, as there’s tons of hostels and you can always find a bed somewhere. 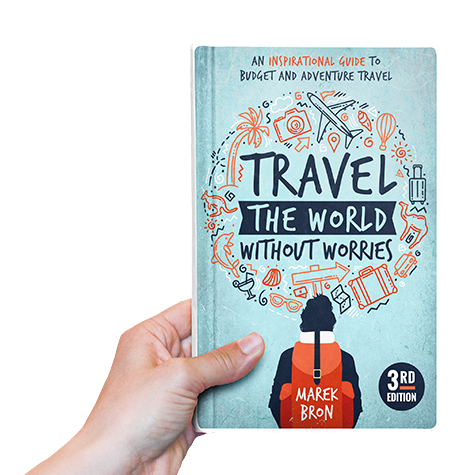 But it’s worth booking 1 step ahead as you travel (e.g. booking something for, say, tomorrow or the day after in your next destination) just so you can pick the best hostel and know you’ll definitely have a bed there. I saw asian travel guy video in Peru… Bof, go elsewhere…..
“Theft not a coincidence”– I was very very careful with my stuff! You have good tips, and I like your blog. Here are my recent adventures in the Amazon, hopefully it inspires people to go for eco-tourism and helps preserve the jungle! … huge trees of the Tombopato Reserve and … the macaw clay-lick on the Tombopato River of Peru hope it might help! “Theft isn’t a coincidence in Peru”, true that! I got mugged at Cusco during Inti Raymi festival, someone took my wallet from my jacket! I lost my credit card, debit card. Luckily, I was prepared for the worst. 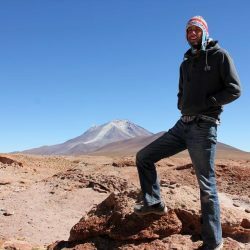 Thanks for sharing this information.I have a question about trekking tours. Do you really need to book every trek like Machu Picchu? And why so? Or can you go there and explore trails by yourself? For the Inca Trail to Machu Picchu (the most famous trek) you need to get a local guide who will arrange permits as well. There are government regulations about how many people are allowed on this trail every day. There are other trails such as the Salkantay trek which I believe don’t require permits (though I’m not 100% sure). Hi, I was looking for 2 week solo backpacking in the end of August. I read through all of your travels and ended up here for a 2 week trip. Can you share your travel itinerary for Peru. Please. Hi great info, bookmarked your site for future refernce. im really interested in doing about 3 week backpacking in Peru from Mid Jan to early Feb at the end of a USA trip. Would love some advice on the best route to take and best places to stop for a few days etc. Would preferably like to leave from Lima. Great article!! I recently became interested in a backpacking trip to Peru with my best friend and sister. Your article really changed my mind from Costa Rica to Peru-it sounds amazing! I’m planning a 2-3 week trip and considering heading late June/early July. Do you think that is a good time to go? Hi Marek, thank you for all the good advice. I’m thinking about going to Peru as a solo traveller in July or August. I was wondering if you have any suggestions on the best way to book a guided trek of Machu Picchu in advance. Are there any tour companies that you would recommend? No, it will be cold and rainy for the most part. Peak seasons in northern South America range from October to Feburary. I backpacked around Peru for 2 weeks and loved it! that you recommended 2 months, but is this for the high season aswell? Glad you like the book! Actually that’s referring to low season so it may be more than 2 months during other parts of the year. The Inca trail is unfortunately one of those things that isn’t so easily improvised or booked on a whim as lots of people want to do it. I’m usually all about winging it but in this case it does require booking well in advance. I see that you are a regular solo backpacker. 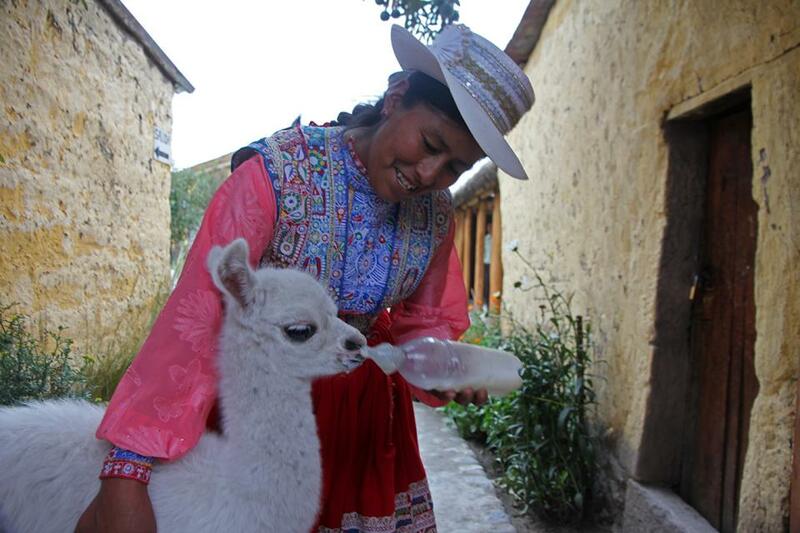 In Peru, how does this work with doing tours like the Inca Trail with the tour operators. Do the tour operators take on solo customers and is there a cost implication to this? Solo is not a problem, tour operators are always happy to have you. I would probably recommend booking this through a hostel or a tour company that is recommended by hostels – these tours have more of a mix of different people. If you go with more of a holiday tour operator it might be less fun being the only solo backpacker among a group of regular vacationers.